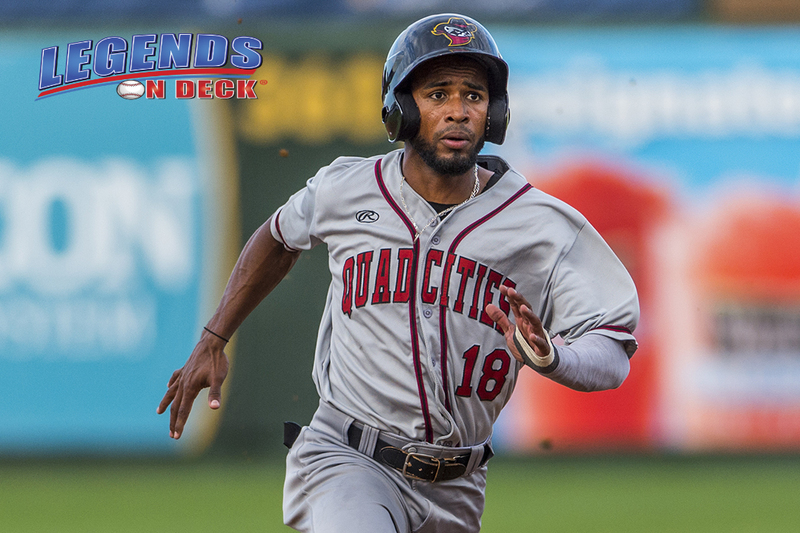 After playing in four cities over eight days and enduring the maximum number of playoff games leading up to the Midwest League Championship Series, the Quad Cities River Bandits absolutely dominated the finals. The River Bandits won the first two games in the best of five series on the road as they beat the TinCaps in Fort Wayne 6-3 in game one and 5-0 in game two. Neither game was competitive and the River Bandits had all of the momentum as the series headed to Davenport. That momentum was shown early and often in game three. While the TinCaps pitching had carried them to the championship series, it would prove to be their downfall in the elimination game. Fort Wayne trotted out the 18 year old Cuban left hander Adrian Morejon to start the game and he only lasted 1.2 innings before pitting the TinCaps in a deficit they could not get out of. The hometown River Bandits led 9-0 by the time the 2nd inning had wrapped up and both team’s 2017 fate were virtually secured by that point. Five River Bandits had multiple hits in Saturday night’s game and four had multiple RBI. The offensive production was helped by the TinCaps eight walks they issued, but it was obvious that Quad Cities didn’t leave their lumber in Indiana. While the 2017 Midwest League champs did jump out to a large lead early, a lot of credit needs to be given to their starting pitcher. Ronel Blanco had a career night in an extremely high leverage game. The 24 year old Dominican right hander struck out 10 batters, walked none and didn’t allow a single run in his 6.2 innings. The Houston Astros Single-A affiliate has now won three of the last seven Midwest League championships with this one being straight dominant. An exciting postseason capped off a wild regular season that showcased several top prospects, hot storylines, and exciting matchups. It was this writer’s first assignment with the Midwest League and I already can’t wait until next year. Congratulations to the Quad Cities River Bandits and their fans in Davenport and beyond.